Click here to download a PDF of this section. 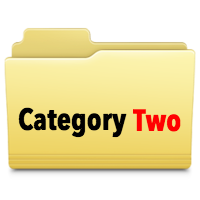 To download tools for category two, click the folder below. You can use the menu below to jump to each section of the guidelines. 2B. Identify key decision points that may require information sharing and map out the information flow between each point. 2C. Identify what laws and policies govern information sharing at each decision point. This effort should take into account federal and state law, any federal and state regulations, and local policy memoranda. 2D. Develop any needed law and policy for effective sharing of case information among the involved agencies. 2E. Develop the protections for the information that is to be shared. 2F. Develop accessible processes and procedures for youths and/or their parents/legal guardians, in accordance with applicable law, to review information that is collected about them and that may be disclosed. Provide them with the procedures and opportunity to approve and/or amend their information. 2G. Identify the information sharing systems and their current capacities. 2H. Develop protocols for the operation of information sharing agreements, practitioner’s guides, authorization to release forms, and any other tools for case information sharing. 2I. Seek approval of any drafted tools such as information sharing agreements, practitioner’s guides, and authorization to release of information forms from the participating agencies and their legal counsels. 2B. IDENTIFY ALL KEY DECISION POINTS THAT MAY REQUIRE THE SHARING OF INFORMATION AND MAP OUT THE DESIRED FLOW OF INFORMATION FROM ONE POINT TO THE NEXT. 2C. IDENTIFY WHAT LAWS AND POLICIES GOVERN THE SHARING OF INFORMATION AT EACH DECISION POINT. THIS EFFORT SHOULD TAKE INTO ACCOUNT FEDERAL AND STATE LAW, ANY FEDERAL AND STATE REGULATIONS, AND LOCAL POLICY MEMORANDA REGARDING INFORMATION SHARING.